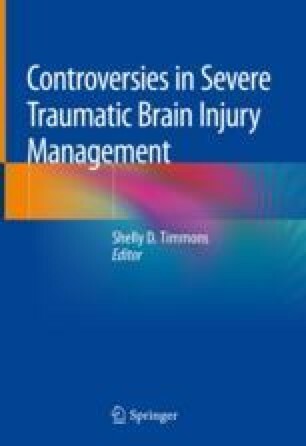 Sedatives play an important role in the management of severe traumatic brain injury (TBI) patients. Unfortunately, no ideal sedative is available for use in this critically ill patient subset. Therefore, selection of one agent over another is based on differential effects of the available agents on cerebral and systemic hemodynamics, as well as their comparative pharmacokinetic properties and side effect profiles. Despite a large number of undesirable side effects, including possible neurotoxicity, propofol remains the agent of choice for short-term sedation in TBI patients because of its rapid onset and offset. Benzodiazepines also play a role in the sedation of TBI patients, with midazolam being the most commonly used due to its short-acting properties. Nonetheless, concerns with the delirium development and prolonged effects with increasing duration of benzodiazepine use undoubtedly diminish their utility in severe TBI patients. Opiate narcotics including morphine, fentanyl, sufentanil, and remifentanil continue to be important analgosedative agents in TBI patients. Barbiturate use in TBI patients is primarily limited to pentobarbital for the treatment of refractory intracranial hypertension. The anesthetic induction agents, etomidate and ketamine, have limited roles in TBI patients because of their side effects, although there is renewed interest in ketamine as a possible neuroprotective agent based on its unique sedative mechanism of action. Dexmedetomidine is the newest sedative in clinical use and has been proposed as a viable agent for select TBI patients. However, before usurping the dominant role of propofol as the sedative of choice in TBI patients, randomized comparative clinical trials are needed. Monitoring of pain, sedation, and delirium is challenging in the TBI patient although there are tools available for evaluation of pain and sedation in the unresponsive patient. While recommended for other critically ill patients, the risk of daily sedation interruption is of great concern in TBI patients, in particular, those patients with elevated intracranial pressure. Consideration of pharmacokinetic alterations in severe TBI patients is yet another challenge in optimally dosing sedatives in severe TBI patients.